Profile Fabrics was founded in 1991. It is a Melbourne based company, that has steadily grown from what started as a small family business, to now, a leading supplier of upholstery furnishings here in Australia and New Zealand. Profile Fabric’s beautiful collection of plain textured textiles, will provide a good foundation which can easily be accessorised with any selection from the new Profile Platinum range. This range is experiencing rapid interest and we are committed in expanding it, by adding more colour and a good variety of new designs. Profile Fabric’s beautiful collection of plain textured textiles, will provide a good foundation which can easily be accessorised with any selection from the new Profile Platinum range. Since 1966 Warwick have supplied fine furnishing fabrics which have been quality tested to world standards for performance, durability and safety. The first Australian-owned company to receive the Queen’s Award for export achievement, Warwick Fabrics (UK) together with Warwick’s other operations continue to meet the challenges of today’s competitive worldwide markets by developing different weaves, textured fabrics and prints in partnership with local mills that, in turn, provides enormous benefits for domestic industry. The same emphasis on quality and enterprising endeavour that saw Warwick Fabrics thrive from such humble beginnings remains intrinsic within this dynamic family-run business that continues to look to the future with a focus on innovation and customer satisfaction. Bring harmony to your home’s interior with Warwick’s captivating new Malmsbury collection where classically inspired designs entwine and soft modern colours embrace in a refined contemporary milieu both sophisticated and stylish. Traditional floral prints have at last been given an exciting new lease on life as Malmsbury’s inspired interpretations in a flourish of rich natural colours are creatively matched with the elegant simplicity of conventional checks, stripes and plains. Part of Warwick's Sansai collection. Sansai contrasts and connects blending bold patterned silks, voluptuous velvets, natural linen backgrounds and flexible textured weaves into a beautifully balanced feast of the senses. Our history is enriched by those with the courage to leave the old for the new. The Pan Pacific Collection embraces the names, places and emotions that are woven into such journeys. Each fabric is proudly made in Australia and is fully licensed as part of Warwick Fabrics' commitment to the "Australian Made, Australian Grown Campaign". Warwick Halo is a new generation of furniture fabrics that are easy to clean, hard wearing and, put simply, built to last. With over 1000 fabric choices at a range of different prices, Warwick Halo fabrics are the perfect high performance choice for fashion and function. All Warwick Halo fabrics are woven to precise specifications and tested to exacting standards for colourfastness, abrasion and inherent stain resistance. Additionally, Warwick Halo fabrics are resistant to pilling and mould/mildew while impervious to attack by moths, silverfish and insect pests. Warwick Halo fabrics are compatible with independent retail fabric protection and guarantee programs. These programs enhance the fabric’s ability to resist liquid staining by providing a spill repellent surface and/or warranties to cover accidental damage. Next time you purchase furniture ask if it is wearing the Warwick Halo. Wortley's residential and commercial upholstery ranges are designed in-house and produced utilizing only the best weaving partners around the world. Each product is individually tested and backed by the exclusive Three Year Residential Warranty. HealthGuard™ treated upholstery materials have been developed for long-term protection against the house dust mite, mould and bacteria while maintaining an odour-free surface. Proven and tested by Monash University’s Department of Microbiology and boasting worldwide quality assurance (including prestigious Oeko-Tex international registration); HealthGuard™ is odour-free and specially developed to reduce dust mites which can trigger respiratory conditions such as asthma, allergies and even eczema symptoms. 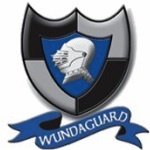 Wundaguard is the leading water based fabric protection system. It is designed for use on all fabrics, upholstery and carpet. Protecting fabric from the damage caused by accidental staining and dry soiling. Wundaguard penetrates deep into the fabric forming an invisible shield around each and every fibre, which protects against the effects of frustrating spills and stains without affecting the fabrics natural texture. Wundaguard has been specially developed for durable performance. With routine care and professional maintenance procedures, it will give many years of protection, often as long as the life of the fabric itself. Wundaguard will not change the look, feel or smell of the fabric or carpet. Spills and stains are easily removed. Fabrics retain that new look for a longer period and are easier to care for. A toll free advisory service is provided to guide the safe removal of stains. Customer discount schemes on our other services. 5 year written warranty against accidental stains on upholstery. Have the furniture professionally cleaned and protected annually. Our 10-Year Warranty Foam is our most economical option for the price conscious customer. We source this standard foam from some of Australia’s leading foam suppliers, ensuring you get a quality product. Although others may settle with offering lower quality foam with much shorter warranty periods, we want to ensure that we strike the right balance between price, quality and comfort so you can have peace of mind. Therefore, as the name states, the foams we offer come with a minimum of 10 years warranty offered by the suppliers. Dunlop Enduro® is a range of premier quality foams with densities from 36kg/m3 to 50kg/m3 that ensures a superb level of comfort and support. It keeps your furniture looking better and feeling more comfortable for much longer, making it better value for money. Enduro® has an exceptional ability to bounce back, even after constant use. Dunlop Opulence® is premium quality cushioning that combines plush feel and underlying resilient support to ensure exceptional comfort and extreme durability. Dunlop Luxura® is a unique cushioning concept that was developed by Dunlop in 1996. It is luxuriously comfortable with a soft and yielding feel, but still gives you the support you need. The unique construction of Luxura® keeps returning to its original shape, recovering its volume after every use, year after year. When used in furniture seat cushions, Dunlop Luxura offers similar feel to feather filled cushions, but without the high maintenance. Luxura® is guaranteed for the lifetime of domestic furniture and for 10 years in commercial furniture. Individual spring coils within a foam cushion for extra bounce. Dunlop Enduro Foam wrapped with feather down doona cover for the comfort of a traditional feather seat cushion without the associated loss of form within a short time. Manufactured by Intes in Italy, the Black Cat® Cushion Support System is recognised for its extreme resilience and high comfort support. These characteristics significantly extend the life of furniture seat cushions. Unlike old-fashioned rubber straps, Black Cat® is manufactured from continuous beads of natural latex rubber, wrapped in threads of polypropylene fibre to protect from oxidation. Together these materials produce high elasticity combined with optimum strength and durability. The properties of Black Cat® provide a noiseless and rust-proof system that is free from potential metal fatigue. Independent laboratory show that Black Cat® does not sag or form a permanent set after 50,000 cycles of repeated stretching. Black Cat® is guaranteed for a period of 10 years as suitable for premium seating in both domestic and commercial applications. This is our standard sofa bed mattress. Quality bi-fold sofa bed mattress by Leggatt & Platt finished in damask fabric. The actual thickness is 4.75” thick. Mattress is flanged and hog-ringed, the mattress offers a firm level of support. Slightly thicker than our standard 4” innerspring mattress, this mattress offers an upgrade in support. Quality bi-fold sofa bed mattress by Leggatt & Platt finished in damask fabric. Mattress is flanged and hog-ringed, the mattress offers a firm level of support. Laminated posture slats give superior seat comfort and prevents rolling into middle of bed while sleeping. 195cm in length (extra 10cm longer than standard sofa bed) best for tall people. Natural latex rubber surrounding high tensile springs. This mattress offers a sound night of sleep. Experience comfort you've never dreamed possible in a sofa sleeper. Featuring patented air-over-coil technology, this innovative mattress inflates in less than one minute and operates with an easy-to-use hand pump. Best comfort your money can buy - The comfort of this premium mattress is available for sofa sleepers. Our 11" thick, air-over-coil mattress design is so comfortable that your loved ones will forget they are sleeping on a sofa sleeper. Hypoallergenic - High-quality hypoallergenic materials ensure your sensitive guests a good night's sleep. Heavy duty construction - designed for commercial use. Warranty - Three-Year Limited Warranty on the mattress, air bladder, and air bladder valve. One-year limited warranty on the motor.